Can students explain the effects of heroin on the brain? Can they explain how these changes can result in addiction? Can students explain the effects of cocaine in the brain? Can they explain how these changes can result in addiction? 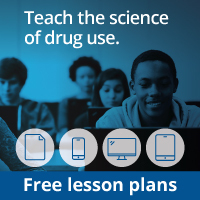 Do students understand the connection between withdrawal symptoms and how the brain changes from the use of heroin and cocaine? Do students understand the differences between the effects of each of these drugs on the body? Did students participate in class activities and discussion? Did they engage in the topics?